Just before the holidays we prepped you on the “Don’ts of Performance Reviews” which was intended to prepare you for your own annual review. But, if you’re a senior leader, especially a female, giving someone a bad performance review can feel just as daunting as getting one. However, we’re here to shift that mindset. Giving a bad review can actually be a good thing. It gives us the opportunity to coach and champion women in our industry and help them become better leaders. Think about it as a moment to mentor those more junior than you and express what you wish someone would’ve told you early in your career. It’s a second-chance moment to fix the mistakes we’ve made by educating someone else. Below are some tips to keep in mind if you have an employee that just didn’t “meet expectations” this year and how to turn what’s historically a negative moment in to something positive. Oftentimes, if an employee isn’t hitting the mark, they know it. Ask them to list out three strengths and three areas of improvement. Add an extra dimension by having them separate these into hard skills vs. soft skills. More-often-than-not, they’ll call out the very issue you are going to address, making tough conversations a bit easier. I have given and I have received (hey, it was a long time ago) not-so-great performance reviews. As the recipient of a poor review, I have always asked concrete examples to support the feedback. Conversely, as a leader, giving a poor review seems a lot easier when you are prepared with specific examples. Try to keep a file throughout the year for each employee should this very moment arise. It’s fair to everyone to be able to cite examples and makes creating an action plan much easier when you have something specific to point to. Some companies have a process in place to get “peer” reviews in which colleagues are asked to give feedback about their fellow employees. These can prove to be incredibly valuable as they make the review less personal and can give you insights on whether others in the company are experiencing the same challenges you are. If you company doesn’t have something like this in place, you can conduct it yourself. Have your employee pick three people they’d want to give them a peer review, then pick three additional people. Ask thier peers about both your employee’s strengths and weaknesses and use their responses as needed during their review. Of course, all responses remain anonymous. Sometimes that can be hard to do, when your about to point out the negative. We are all human (including you) and it’s always good to hear positive feedback before diving into the “room-for-improvement” feedback. We’re not asking you to like or be dishonest, but pointing out something good about your employee at the beginning, can start the conversation with the right tone. So, the tough discussion is over but where do you go from here? Write down measurable steps to improve the behavior both short term and long term. Involve your employee in creating the plan by asking them what they think they can do to improve? Surprises can be fun except when it comes to reviews. Make sure that you have frequent conversations with your employee throughout the year, pointing out any issues and examples as they arise so that you can correct them in a timely manner. This will ensure that your employee understands expectations during the year and when comes time for their annual review there will be no surprises and tough discussions are easier for both parties involved. Who knows, your due diligence may have already solved the problem and what might have been a negative review is now a positive one. Kayo Conference Series hosts annual events for women in business, finance, and investing. 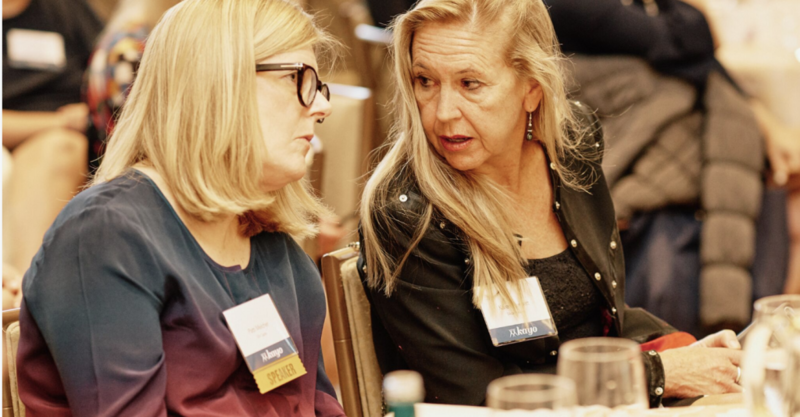 Our annual summits create opportunities for women to advance their career, champion their peers, and connect with leaders (who have probably given their share of reviews).